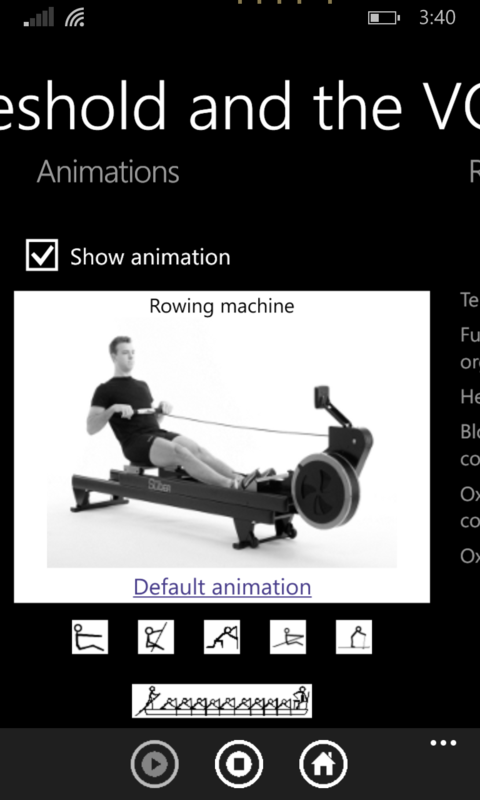 In connection with the obsolescence of the Windows Phone software platform, this software application is not supported. All of its functions are implemented and supported in other client applications of the Physiological avatar technology on more modern software platforms. 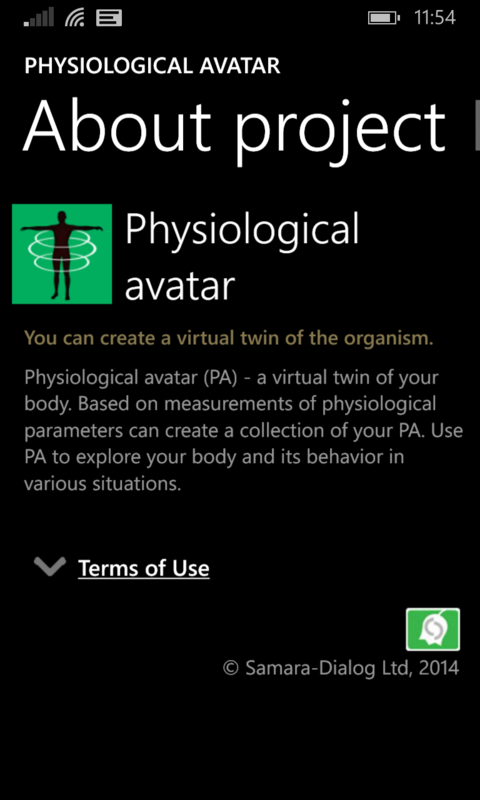 Application Physiological Avatar successfully passed certification for inclusion in Windows Store. Now you can buy apps in the Windows Store. 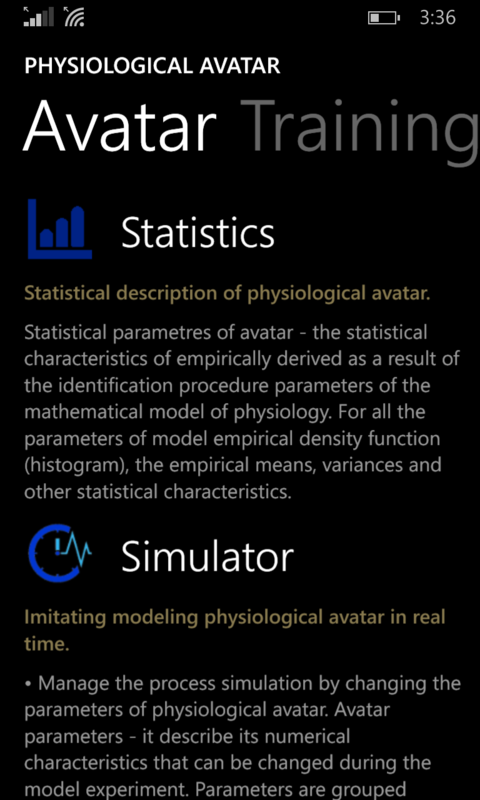 Owners of smartphones with Windows Phone 8.x offer to buy a new mobile application Physiological Avatar. Basic scopes of this application is a professional sport and fitness. If you are an athlete, coach, or simply engaged in fitness and have access to modern laboratory of Sports Medicine, you can use the application in their practice. Mobile application "Physiological Avatar" provides users with a number of new and unique features compared with other applications designed for professionals and sportsmen lbiteley fitness. What are these opportunities? System logging of observations will allow to introduce a set of measurements and medical tests needed to make your individual PhA. Access to the factory of identification will allow to produce any usable amount of PhA on the basis of your logbook. Creating chronological collection of individual PhA, which will develop and monitor the trend in time of a large number of physiological parameters of your body, including those important for the assessment of the physical condition of the individual anaerobic threshold and the maximum oxygen consumption. 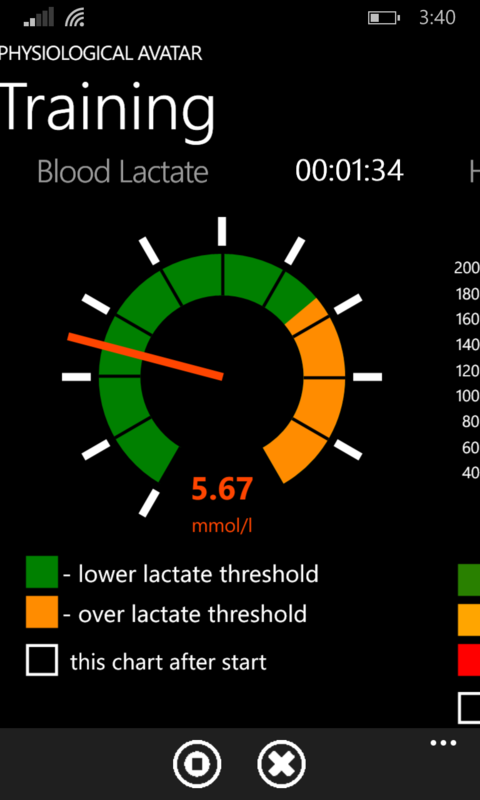 Conconi test simulator, which is based on a selected collection of previously created FA will build a graph of the lactate level in your body's level of physical activity. The curve is constructed for all allowable load range from complete rest to the load corresponding to the maximum oxygen consumption. The study does not need not require exhausting exercise, traditionally accompanied by real Conconi test. Online monitoring of cardio training at the value level of lactate in the body, motitoring points in time and the level of the load in excess of the level of the individual anaerobic threshold. 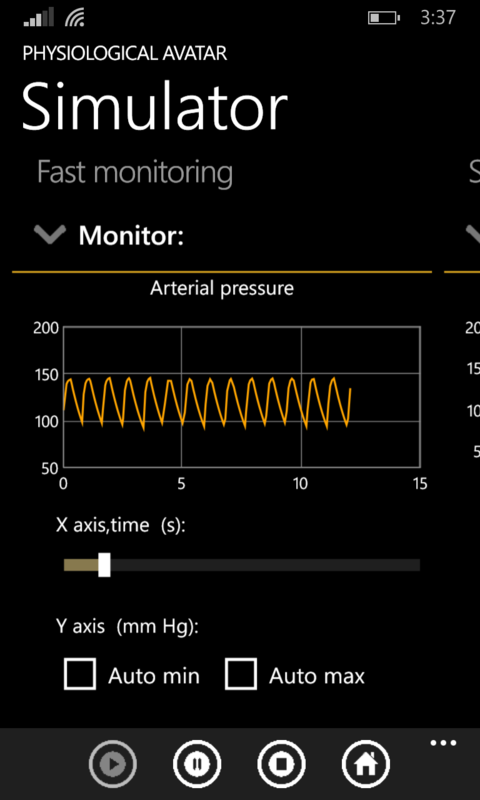 Monitoring does not require any special equipment, except for the usual bluetooth heart rate sensor. Modern smartphone with Windows Phone 8.1. Availability Account Microsoft Account to access the app store Windows Store. 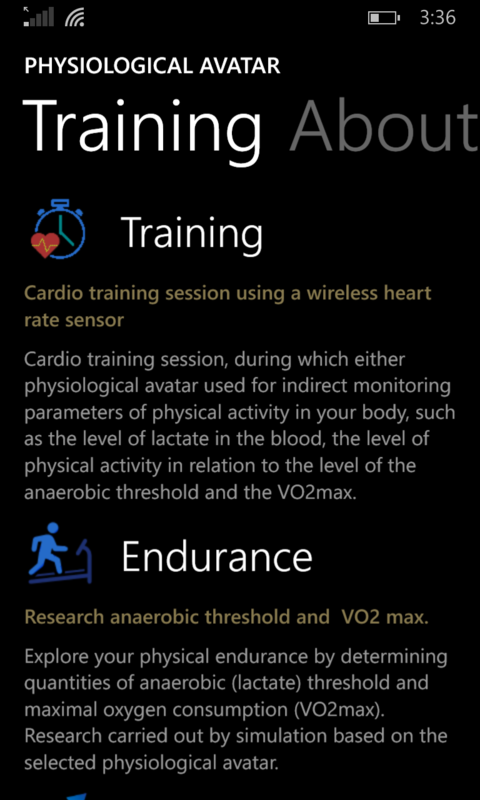 To be able to use lactate monitoring system with cardio training require cardiac monitor from the list of supported devices or Microsoft Band. This version implements the core functionality of PhA technology for an individual user. This version implements the core functionality of PhA technology on a software platform Windows Runtime. 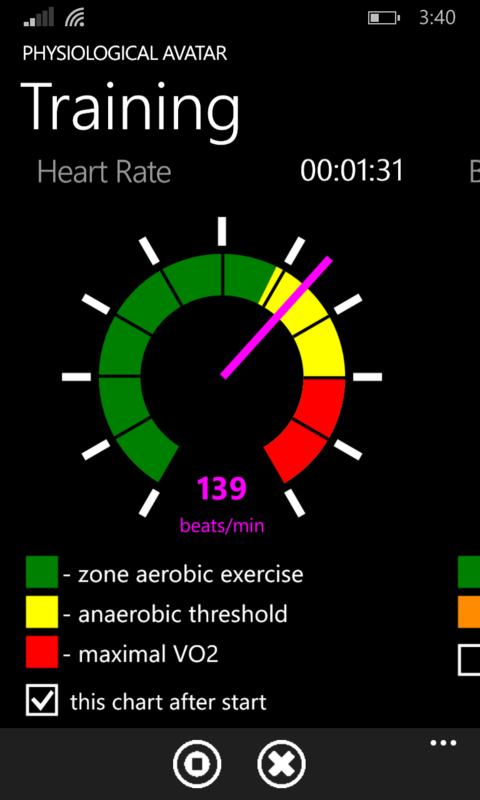 Support of devices Microsoft Band as a heart rate monitor, monitor intensity of exercise, and lactate levels during training. Advanced features of sports training and in particular, the training load control using monitor training impulse (TRIMP) are implemented in this version.